In this short novel, Adam is a young American poet on a fellowship in Madrid, where he is attempting to immerse himself in Spanish culture and history while becoming a better poet. However, being young, his process involves lots of drugs and alcohol and attempts to sleep with beautiful women. There is some great writing in this book, some funny and poignant moments, some moments are captured perfectly. But I struggled with the main character's immaturity and I found myself often more frustrated with him than amused by his adventures. 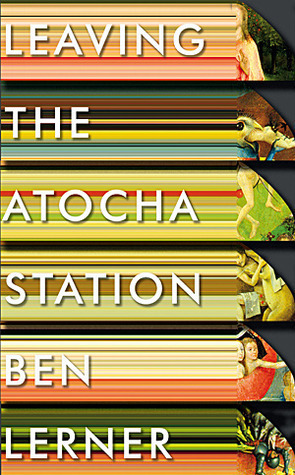 Sign into Goodreads to see if any of your friends have read Leaving the Atocha Station.